When it comes to browsing the Internet we can never be too safe, and with the thousands of Google Chrome extensions, it can be difficult to find reliable and safe ones. 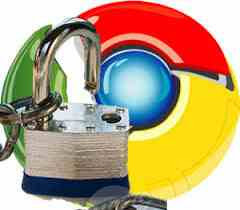 Here are my top 5 extensions to aid you in your quest for safe browsing with Google Chrome. All of these extensions are reliable and are from trusted companies. Keep in mind that you don’t need to use every extension, because this can and will slow down your browser and load times. All bit.ly links lead to the corresponding pages in the Chrome web-store. If you doubt the security of the links feel free to scan with https://www.virustotal.com/en/#url. We use shortened links for the sake of space. Avast online security is an extension that will give you the ratings of websites before you go to them based on the community and their experiences while visiting the page. The advantage to this over other tools, is the results won’t be skewed and the safety of the website is included in the score that it receives. Now the downside to this tool, is that it is fairly new, and there are not a lot of websites that have ratings. This is why I recommend using another tool to work with this such as McAfee, Bitdefender, or any other tool. Bitdefender is the highest rated antivirus on the market, and with their traffic light extension, you will have the high rated protection with you for no cost. This extension functions just like Avast Online Security, however the app does have a few bugs. You can’t access the trackers by clicking on the image. One of the updates seems to have ruined the tracker items, and we don’t know why. It is also slower than Avast Online Security. However, the extension has more updates, more sites in the database, and has a better protection rating than that of Avast. The only issue are the bugs and the slow loading times. If it weren’t for those, then it would be number one. Web of trust is a extension that is meant to be powered by the community for the community. This widget almost always has a site with a rating. Very rarely will you not find a site with a rating however, these ratings are not always accurate and here is why. Web of trust is all based on what the community says, but there are times when bots have been known to change the rating of a site to make it appear safe. Other than that the widget has no errors, and it works with Google Images. Webutation uses a score system for websites, that is superior to that of Web Of Trust. These ratings also factor in the safety rating of the site, so you know a website having a high rating, is a secure one as well. A lot of websites will be in the 80-100 range which is the safe zone. They get in this range because they lack baclins from wikipedia which can lower the rating. While I don’t recommend McAfee antivirus programs, they have the best website scanner service. The reaosn i say this is because when you sign up and work with the community, you are able to submit urls for scanning. The main issue with this, is you have to download the file instead of doing it through the Chrome webstore. This is a minor inconveienve, however this is the best url scanner, because they are constantly monitoring websites, and it is very light. I have found this to be lighter than that of webutation and traffic light, however I don’t like the external download which is why it get’s fifth place. I recommend using any combination of these use no more than 2 because it can reduce loading times. Best antivirus scanenrs are McAfee Site Advisor and Bitdefender Traffic Light. Web Of Trust works with images which is great but useless if you are scanning downloaded files.